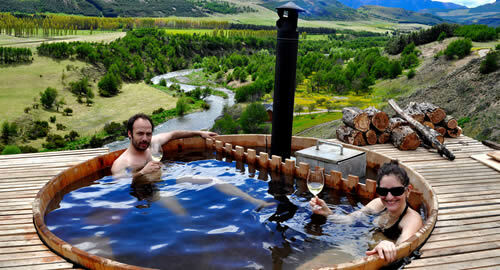 Coyhaique River Lodge is located on 40 acres just 5 miles outside the city of Coyhaique on the banks of the Coyhaique River. The 10,000 square foot lodge is designed to greet and host visitors who have come to enjoy the magnificent beauty of the region. Two Queen-size beds in each of the eight large guest rooms will spoil even the most particular of guests. 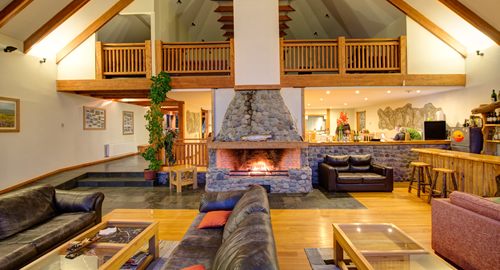 After a full day of fly fishing and adventures, the large deck overlooking the picturesque Coyhaique River and endless mountains beyond, is the perfect place to relax and enjoy a sip of the local Pisco Sour or a glass of the finest Chilean wine. 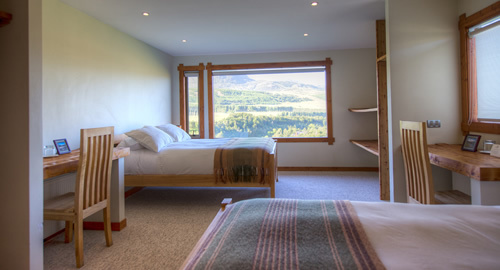 Not only is the lodge a brilliant addition to fly fishing trips, but it allows their team of experienced guides the ability to offer guests many more exciting adventures during their short stay in Patagonia. There is no more need to use up most of your vacation time by driving from place to place when you can relax in luxury and experience much more all within an hour or two of your first class accommodations. For your custom trip please contact us by calling or emailing.